Badrinath Dham is the sacred topography of Badrinath is referred by ancient place where Lord Maha Vishnu. Badrinath Dham is the sacred topography of Badrinath is referred by ancient text as the place where Lord Maha Vishnu has completed his sacrament and Goddess Maha Laxmi is believed to provide him protection in the form of a tree from the outpouring of ill-natured weather. 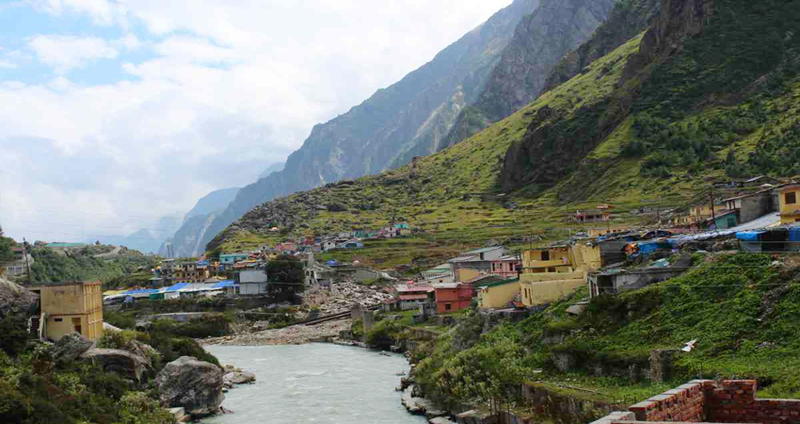 Badrinath town is to be found at an altitude of 3,300 meters and the majority appropriate time to visit the holy abode of Lord Vishnu is among April to November. Positioned in the town of Badrinath in the Chamoli district of Uttarakhand, Badrinath temple is one of the mainly holy destinations of the Hindu belief. Between the Panch Badri, it is the most important temple and is one of the 108 Divya Desams (temples dedicated to Lord Vishnu), which have been accounted for in the sacred scriptures of Tamil saints, who lived among 6th to 9th centuries AD. The temple was said to be recognized by Adi Shankaracharya as a pilgrimage site in the 9th century. The sacred residence of Lord Vishnu is believed to be renovated lots of times, with the present structure built by the Garhwal Kings some 2 centuries ago. There are lots of legends related with the actual source of the temple. The most accepted being the one connected to Lord Vishnu's meditation as per which the Lord meditated on the mountains of Garhwal for the well being of mankind. In order to defend him from the rough weather of Himalayas, Goddess Laxmi took the form of a Badri tree and offered shed to the meditating deity. When Lord Vishnu gained awareness and found the tree around him, he confirmed that whenever the spot would be worshipped, Laxmi's incarnation as Badri tree will be called before his name (i.e. Nath). 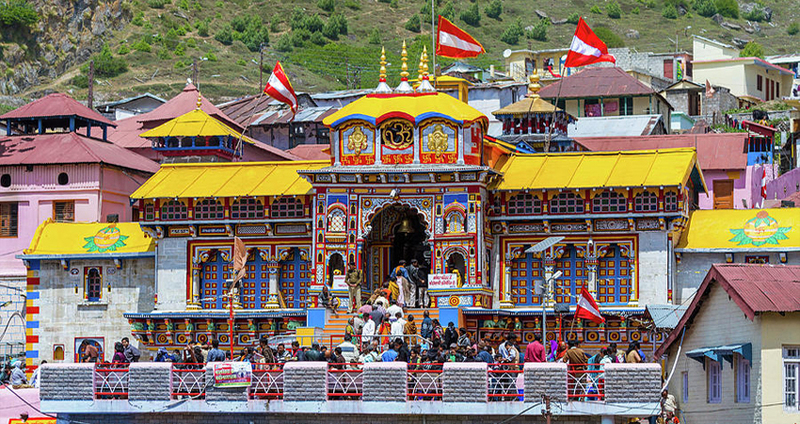 Though there are lots of legends connected with the shrine, this content is an attempt to provide complete information on Badrinath temple. 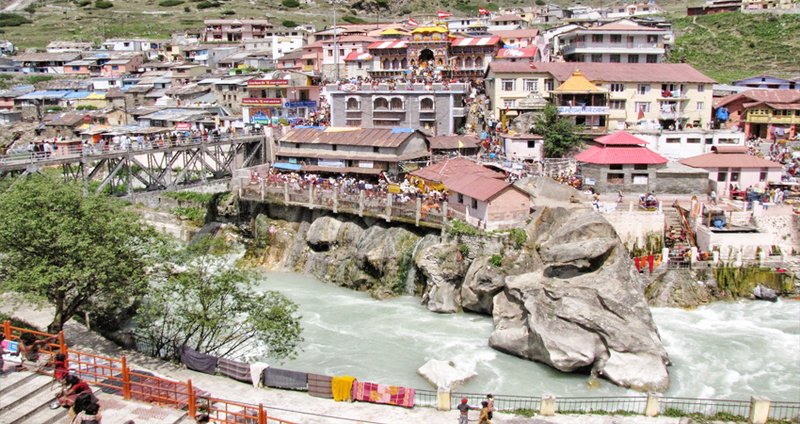 Chardham Tourism offers badrinath package detailed day wise itinerary of 4 Nights and 5 days. Badrinath Package, Badrinath Yatra Package, Badrinath Tour Package, Badrinath Dham Package, Badrinath package 2019. Enter in Delhi where our tour guide welcomes you lovingly and guides you to the coach waiting to take you on a 225 km drive to Haridwar. After 6 hours you enter in the sacred city of Haridwar and check into your room followed by lunch and rest. In the sunset we set off on a visit to Har Ki Pauri on the banks of the Ganga for the sunset Aarti and worship at the temples. Breakfast over we board the coach for the drive to Badrinath where we check into a temple and ready to go out to the holy temple for Darshan and Pooja. This takes some time beacuse large crowds but it is highly soul fulfilling. After this the group sets off to visit Mana village close to the Tibet Border. Along the way we visit Ganesh Gufa and Vyas Gufa where Ved Vyasa wrote the Mahabharata. Return to Bardrinath for the night. Day : 4 Badrinath to Srinagar. In morning time, pilgrims after having a bath in the Tapt Kund have the Darshan of Badrivishal. Brahamakamal is significRise near the beginning at the morning and board the coach after breakfast for the 200 km drive to Srinagar across magnificent mountain roads and passes. Arrive in the twilight and check into your hotel. Overnight stay at hotel in Srinagar. A short going to places of interest in the sunrise and then you board the coach for the 315 km drive to Delhi where you are bid a fond farewell by our guide who hopes you will connect Badrinath package another time in the future. Lord Vishnu's meditative position has led to such classification of the temple. Yogdhyan Badrinath is placed at Pandukeshwar, which is located at an elevation of 1,920 meters in Uttarakhand and is 24 kms left from Badrinath. The spott is named after the king Pandu, who is said to have mediated here for several years to get absolved from the curses given by a sage. It is also believed to be the spot where the Pandavas gave over their capital to king Parikshit and went to seek the highway towards heaven to repent their sins committed throughout the war with Kauravs. The temple is a division of a group of 16 temples, which lie near the meeting point of Rudra Prayag and falls on the way towards Ranikhet (Uttarakhand). The major temple, also known as Narayan temple, devoted to Lord Vishnu has an eminent platform in the front portion, which directs one to the enclosed space where the 3 feet idol of Lord, built in black stone is placed. It is believed to be the spot, which was the home of Lord Vishnu throughout the periods of Satyuga, Treta and Dwapar. When the period of Kalyuga began, he shifted his base to Badrinath. That is why being the older abode of the Lord it is known as Adi Badri. The name of the temple means the Badri of the future and is positioned in the Subain region of Uttarakhand, which is approx 17 kms from Joshimath. As per a forecast, Bhavishya Badri, placed at a height of 2,744 meters will become the replacement of Badrinath temple when the latter will perish. It is believed that the current spott of Badrinath may get destroyed or turn into unreachable because of a natural disaster and then Bhavishya Badri would come up as the major spot of worshipping Lord Badri. Even before such a calamity can befall, Bhavishya Badri has become a well-liked pilgrimage desttination and is reached after passing a thick forest. The Lord is present in the temple in his Lion-headed avatar (incarnation) of Narsingh. Positioned at a height of 1380 meters, Vridha Badri is placed about 7 kms from Joshimath in an area known as Animath. As per a belief, it is the place where Lord Badrinath was worshipped for several centuries before the coming of Shankaracharya and his establishment of the Badrinath temple. That is why the temple is known as Vridha Badri, i.e., first Badri. 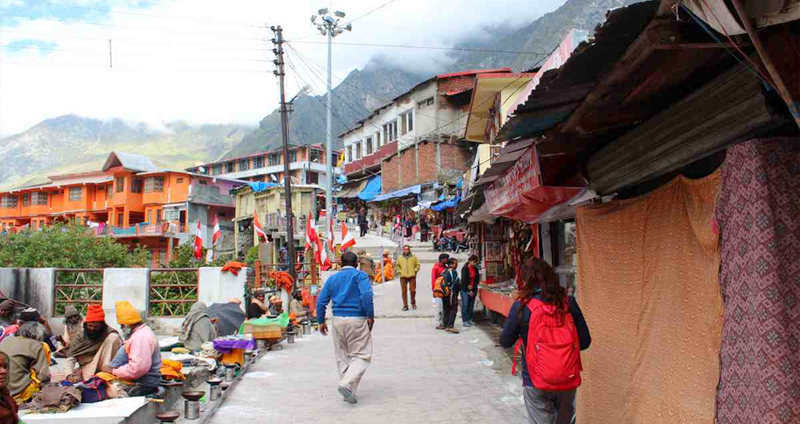 Vridha Badri remains open to devotees during the year unlike Badrinath where the idol of the Lord is shifted to Joshimath at the time of winter. 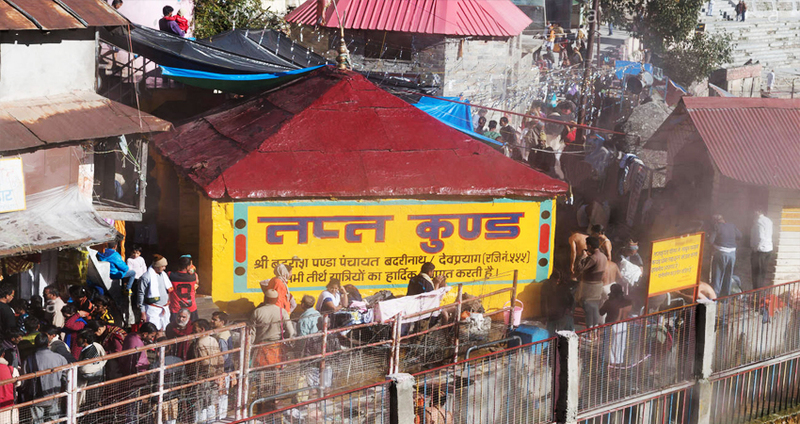 Tapt Kund : Pilgrims take bath in the thermal spiral, before entering the temple. It consist of natural hot water. Bramha Kapal : It's a flat platform, where Hindus perform propitiating rites for their deceased ancestors. 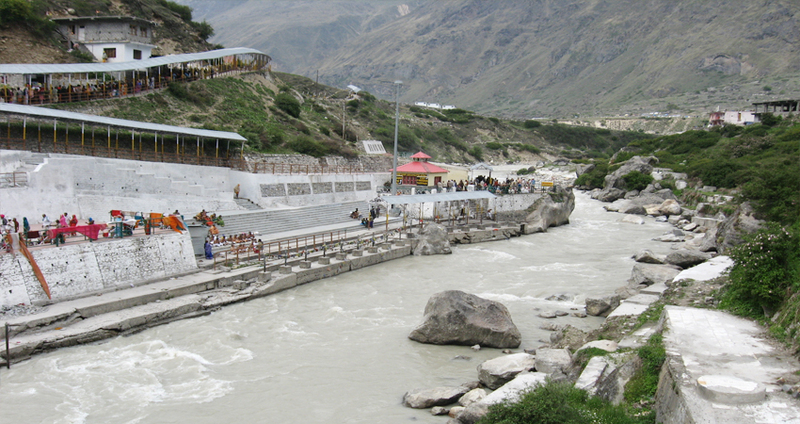 Mata Murti Temple : Situated on right bank of Alaknanda is the temple of mother of Shri Badrinath ji. Satopanth : It is a three-corner lake and it is believed that each corner is occupied by Bramha-Vishnu-Mahesh. In addition, you can also have sight of Karnaprayag, Deoprayag, Panch prayag, Mana village etc.